Wines are an important part of social discourse – be it wedding rehearsals, galas, date, award nights, meeting (and entertaining) new clients or anything that involves making a good impression, you need wine. This post however is about how to enjoy wine in a restaurant, because why not? Why would you be in a restaurant and not enjoy what you pay oftentimes a significant amount of money for? So here are 7 hugely helpful and useful tips on how to enjoy wine in a restaurant. When you handed the wine list on the menu, keep your composure and order like a pro. I know, it seems hard, right? It shouldn’t be, you are in the midst of people like you (unless you are Peter Quill). After being the handed the list, questions like the following begin to pop up in your head what to choose? How do I pronounce this? How do I open it? It can be overwhelming, I know. Keep your calm, make a choice and decide, the words most times aren’t as hard as they seem, and if you can’t pronounce, all you have to do is point to it. It is subtle and you keep your dignity intact. Restaurants have a tendency to charge extra corkage fee. You can remove this extra cost by just bringing your own wine. Yes, there is no stopping you from bringing your wine to a restaurant. There is better enjoyment in knowing that you are not paying at least an extra $30. Sommeliers are very important. It is their job to know everything on the wine list and this they do. All you have to do is speak up and let them decide for you that wine better suit your mood or demeanor at that point in time. That way, you get needed wine experience and widen your wine repertoire. Sometimes, it is the person at the table with you that has a better knowledge of wine than you. Let them choose for you. One very important thing you have to do before taking your wine is checking the temp. 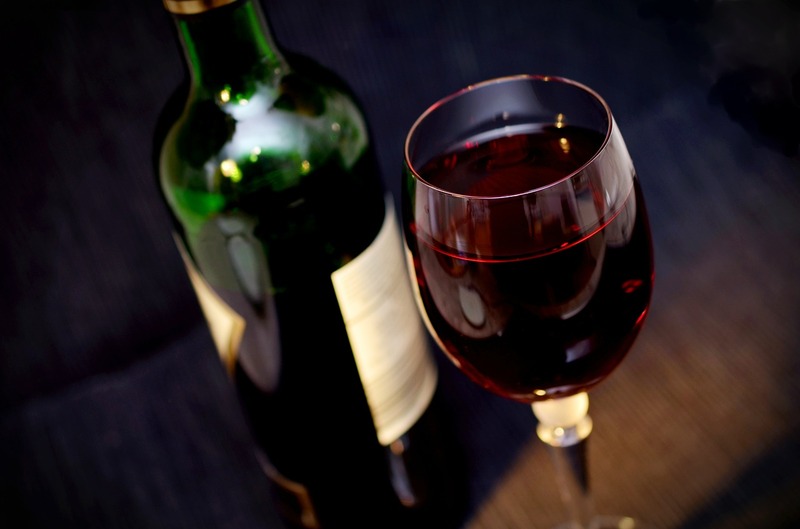 For white wines, they are usually served too cold while for red wines are often served too warm. A wine at the right temperature is better enjoyed than one that is not. Glassware is important when sipping wine. There are several wine glass brands with each one having its own benefit over the other. There is a perfect glass out there for each wine served. You need to consider aeration, clarity, handling and specifics. Wine glass brand include Baccarat, Waterford, Bohemia Crystal, Luigi Bormioli and Moser. It is important that the food you are being served goes perfectly with the wine. The makes the wining and dining more enjoyable and memorable. A perfect match can be reached by asking your sommeliers. Having the perfect date, dinner or meeting might just need you to do one thing – plan. You can just expect to leave things to chance and see how the night goes, no. Simply ahead by checking website reviews, checking reviews and reading through top 7 tips to enjoy wine in restaurant. Author Bio: Esther Ruiz is the creator and founder of crystaldecor.com. An expert in wine and glasses. She is a lover of all things good. A writer by day, a writer by night – she loves writing about herself in the third person, makes her feel good about herself. Why listen to me? Cos I got a great taste in music and wine.